Meet The Captain - Terry Turl! My name is Terry Turl, and I've been the Captain of the yacht Miss Toronto since 2004. During this time, I have overseen extensive renovations and performed a major refit on the yacht. The result of this work can be seen in Miss Toronto's fresh modern look, both on the interior and the exterior. 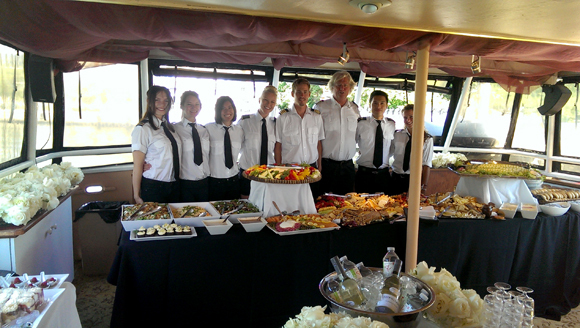 As your Captain, my primary concern is for the safety of my passengers and crew, but I am also committed to helping my guests enjoy successful events that are fun for all. If you have any special requests, whether it is altering our planned course, arranging for special decorations and entertainment, or merely having your guests take a 'turn at the helm' under my watchful eye, you will find me very open to making your event unique and memorable. Miss Toronto is operated by professionals who have a vested interest in delivering what they promise. We boast having "the cleanest washrooms in the harbour" and encourage you to inspect Miss Toronto as part of your event planning. We are available before, during and after your event for guidance, advice, friendly service and assistance. Please give us call anytime: we'd love to welcome you aboard! 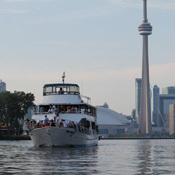 Discover the pleasure of cruising aboard Miss Toronto with your captain Terry Turl.